Answers to some common questions about Kokko Beauty. + What is the Kokko Beauty app and what does it do? 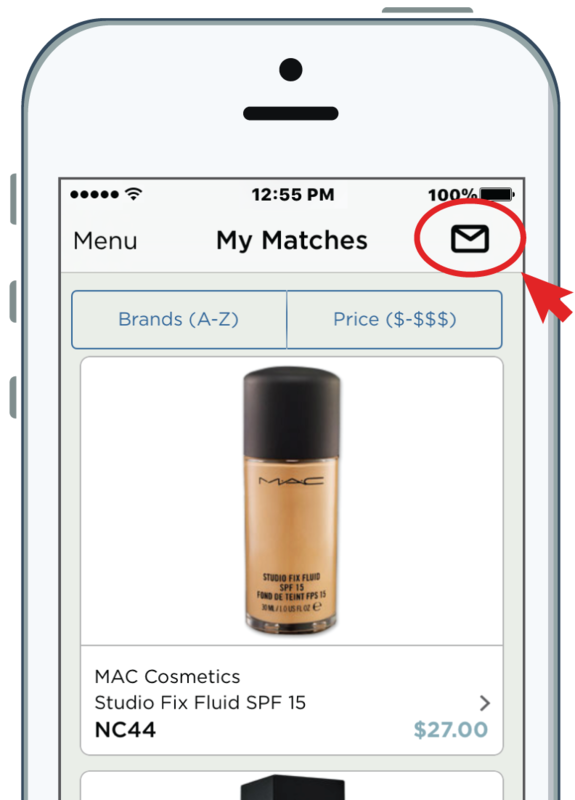 Kokko Beauty is a revolutionary app that helps women find their perfect foundation shade across multiple brands. Simply hold your specially printed ColorChart and take a selfie using the app, and you'll receive your personalized shade recommendations in less than 60 seconds! + Which beauty brands are included in the Kokko Beauty app? Kokko Beauty currently makes shade recommendations of products from the following brands: Bobbi Brown, e.l.f. Cosmetics, MAC, NARS, Sephora, L'Oréal Paris, Maybelline New York, Harvey Helms Beauty, IT Cosmetics, Suntegrity Skincare, and Vapour Organic Beauty. We are adding new brands on an ongoing basis: Our goal is to include as many brands and price points as possible. + How much does Kokko Beauty cost? The Kokko Beauty app is free to download from the Apple App Store. The app requires a specially printed ColorChart, which may be purchased through the app. The ColorChart costs $3.69, plus an additional $1.30 in shipping and handling. Sales tax may apply, depending on your location. + Is Kokko Beauty available for Android devices? What about Apple? At this time, Kokko Beauty is only available for Apple mobile devices (iPhone 4s or later, iPad 2 or later, and sixth generation iPod Touch). If you are an Android user and have purchased a ColorChart, please contact Kokko Customer Support at support@kokkobeauty.com for further assistance. + Is Kokko Beauty available outside the United States? Currently, Kokko Beauty is only available for download in the United States. + Why do I need a ColorChart? The ColorChart is your key to achieving color accuracy with the Kokko Beauty app. 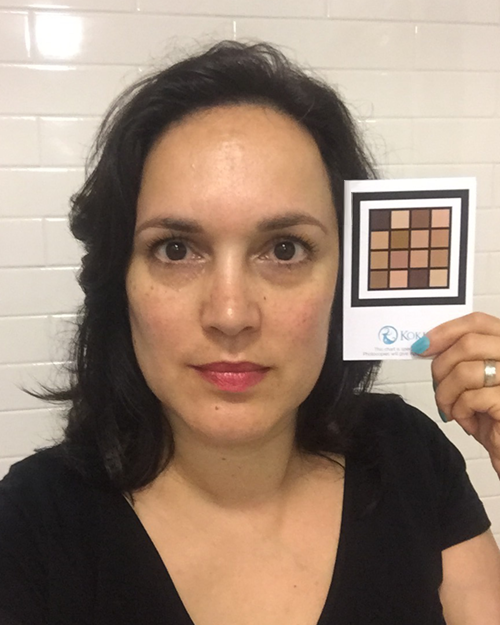 The Kokko Beauty app compares the known colors of the printed chart against the colors of the chart captured in your selfie to correct for lighting and camera differences — assuring true, scientific color accuracy. You will not be able to use the Kokko Beauty app without the ColorChart. + Can I copy my friend's ColorChart or print one at home? The ColorChart is the "magic" that makes accurate color matching possible. It is printed on special paper using a highly controlled printing process to ensure that the colors are printed with exceptional accuracy, and should not be photocopied or reproduced. Using a photocopied or home-printed version of the ColorChart will give inaccurate results. The good news: one ColorChart CAN be shared among family members or friends and used multiple times. Simply hold the ColorChart and take your selfie with the Kokko Beauty app — then email your results to yourself... Immediately pass the ColorChart on to your friend or family member! When not in use, the ColorChart should be stored in its protective blue envelope to insure the colors don’t change. + Where do I get a ColorChart? The easiest way to order a ColorChart is to download the app from the Apple App Store, launch the app, and place your order. + How do I protect my ColorChart when not in use? We recommend storing your ColorChart in its protective blue envelope, away from direct sunlight. Pull your ColorChart out anytime you notice a shift in your skin tone, especially due to changes in season or locale. Your ColorChart is your key to unlocking more beauty experiences with Kokko Beauty! + What is the best lighting for taking my selfie? Think of the kind of lighting that you typically use to put on makeup. A well-lit room like a bathroom or outdoors under cloudy skies both work well. Face the light to avoid shadows falling on any part of your face. Check the photo ensure there aren't any overly bright spots on your face, like a direct reflection of the sun. If so, please move to a different location and retake the photo. + What is the best way to hold my ColorChart? The ColorChart should be held next to your cheek, just in front of your ear, and squarely facing the camera. This ensures that the chart receives the same exact lighting as your face and allows the Kokko Beauty app to accurately analyze your skin tone. Important: Hold the ColorChart at the bottom. Make sure that your fingers don’t cover any portion of the chart, including the thick black border around the color squares. + How should I hold my phone when taking my selfie? For best results, you should hold your device just far enough away from you so that your head and the chart mostly fill the width of the screen. The camera should be level with your face or slightly higher. You can press either volume button to take the photo as well as tapping the circle on the screen. + Why do I keep getting an error message about the ColorChart when I take my selfie? Excluding part of the card from the photo, such as the black border. The entire chart must be included in your selfie. Covering the chart with your hand or fingers. Covering the chart with your hair. If you find that taking your selfie is difficult, find a friend to take your photo for you! + Can I wear makeup when I take my selfie? A clean, foundation-free face ensures that Kokko Beauty will accurately capture and analyze your true skin tone. You don’t need to remove eye makeup or lip color. + Can I wear eyeglasses? For best results, please remove your glasses so to reduce any glare or reflection that may result in the photo. If this is difficult, ask a friend to take your photo for you! + What about my hair? Long hair should be pushed or tied back, away from your face. + My recommendations seem too dark/light for my complexion. What happened? + Is there any way for me to save my recommendations? The Kokko Beauty app remembers and displays the recommendations for the last photo taken; these are automatically displayed whenever you open the app. Once you take a new photo, the old recommendations are not saved. However, you may email your recommendations to yourself as way to maintain an archive. After you take your selfie, you will see a list of your personalized foundation recommendations. At the right top of your screen you will see an email icon. Simply click on the icon and a new window will appear, launching your default email app. Type in your email address and hit 'Send." + Why don't I see my favorite brands listed in the recommendations? We are adding new brands of makeup on an ongoing basis: Our goal is to include as many brands as possible and cover as many price points as possible. Please use our Contact form to let us know which brands you'd like to see included... we'd love to to hear from you! Please send us your question or concerns at support@kokkobeauty.com and we'll do our very best to respond within 24 hours.